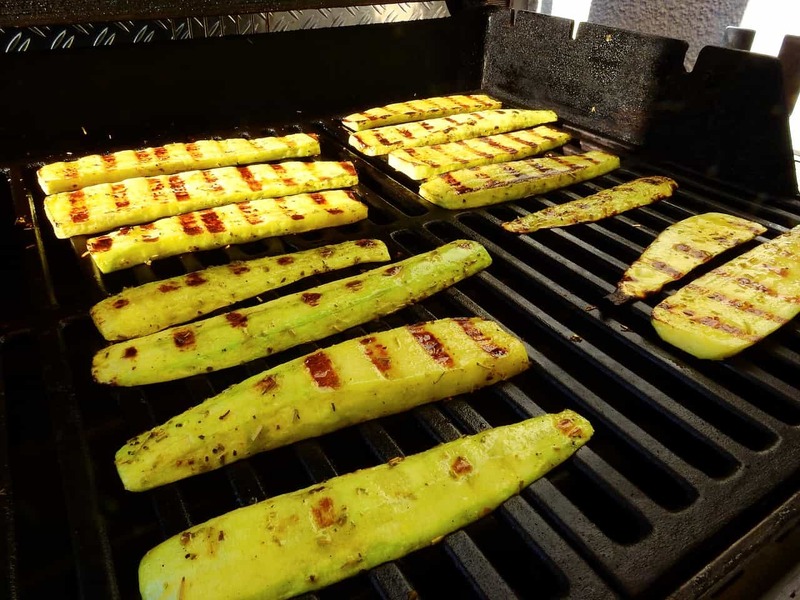 Marinate summer veggies in olive oil and then grill until tender. In a bowl, combine oil, salt, garlic, pepper, lemon zest and juice. Put veggies in a large ziplock bag and pour in marinade. Seal bag and shake to coat vegetables. Let stand for 3 hours at room temperature. Preheat grill to medium. When heated, oil grates. Cook all vegetables 10 to 15 minutes, turning halfway through.